As we start a New Year at Arizona Pottery, we are already thinking of the next planting season. This year we have some new items that we would like to tell you about. New Colored Clay Pottery - What is Moka, white & Grafite clay? 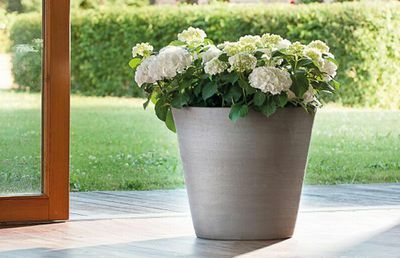 Our Italian manufacturer has produced a line of garden pottery for the person who is looking for something different & unique in looks, similar to traditional styles and updated in technology. 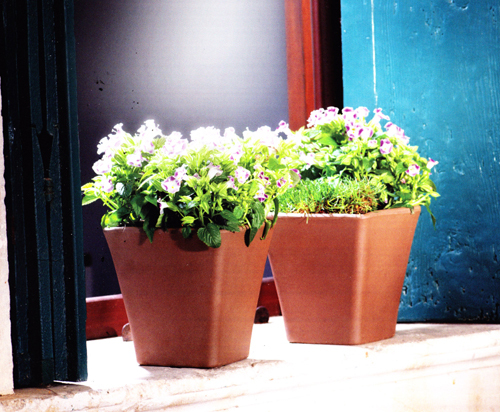 Our new line of garden containers is made from REAL clay that is colored. We now have milky Moka, white terracotta & gorgeous Grafite grey. Colors we have never seen before in the pottery industry. Colors that will match your 2016 color pallets and add a pop of color to your decorating needs. Besides color what else is new? 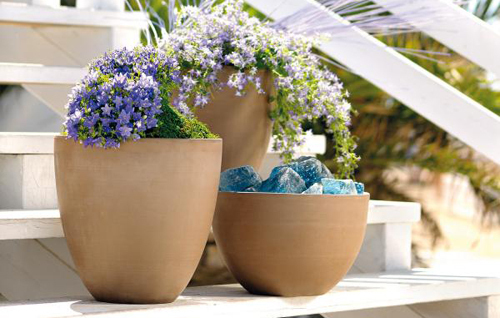 Besides the stunning new colors of clay we are offering these planters are so much more. Frost resistant, eco-friendly all natural materials and new styles & sizes, all add up to a product that you will want to have in your collection. Squares and rectangle shapes which are difficult to manufacture and ship but still in high demand. Tall bell shapes with rounded bottoms, rough textures & smooth silky finishes. We are just starting out with a small selection of new planters for you to examine but never fear, we will be bringing in much more. Read more.....Why use pot toppers?